The LG V10 and Apple's iPhone 6s Plus have two of the best cameras of any smartphone: both can capture video in super sharp 4K resolution and both support optical image stabilization plus some software tricks to get rid of shakiness in videos. The LG V10 in particular features what LG refers to as OIS 2.0, an improved version of its optical stabilization system that the V10 shares with the G4, and both build over the LG G3, which had what LG calls OIS+. The difference OIS 2.0 makes is an additional, third, Z-axis of stabilization over the X and Y axes on OIS+. Stabilization in the X and Y axes has also been improved and added better stabilization for abrupt movements. The iPhone 6s Plus also has an optical stabilization system that it uses in concert with software-based stabilization for the final video. 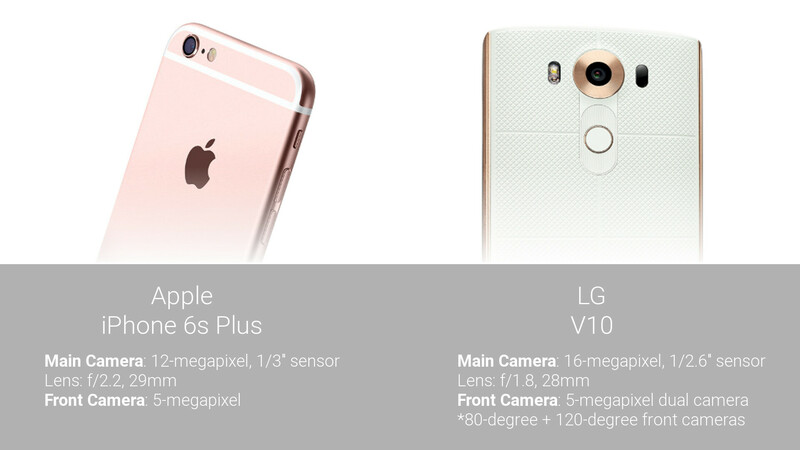 While this is all technical talk, what really matters is which of the two, the LG V10 or Apple iPhone 6s Plus, records smoother video with better video stabilization? We compare them side to side to see the actual difference, and it is immediately obvious that despite all the talk about OIS 2.0, video recording from the iPhone 6s Plus looks noticeably better stabilized. Just simply walking results in a noticeable shake especially noticeable towards the corners of the video on the V10, while the iPhone looks equally well stabilized across the whole frame. Check out the side-by-side comparison right below. To be honest both are horrible! Both are horrible because this test goes far beyond what OIS is meant to do. This test is like firing a pellet gun at a phone screen to test toughness: every phone fails. Just as this test breaks the capabilities limit of OIS. It's not meant to dampen complete device movement, especially while walking. It's meant to stabilize slight movements, like when you're holding the device to take a video or picture. This test only shows that anyone can do a ridiculous test to show that nothing works right. Is it just me, or the Z5 is always left out on comparisons like this. It will always be inferior against the "big 2" in their eyes anyway lol. If many people own a phone capable of recording 4K videos and don't shoot in 4K, they better start doing so, the quality of 4K video is so much better than 1080p. We have done direct comparisons and the difference, especially in sharpness, but also in color, is noticeable easily even when you view the video on a 1080p monitor. Every OIS powered phone except iPhone 6 plus uses OIS in 4k. However, very few use OIS + DIS in 4K. 4k eats up storage space, and on devices with non-expandable memory(Iphones) it is a major issue. Plus recording 4k is rather pointless unless you are going to play it back on a 4k display or you want to be able to zoom in on the video without loosing a lot of quality(up to a certain point). Yeh it's a bit silly having a 4K camera an not recording in 4K. Ps. I'm not an ifan but the iphone definitely wins here. Yup, iPhone definitely looks more stable here. That FoV though. This doesn't appear to be using a rig to test stabilization like most videos. Both phones have been out for a bit long for it to be worth rushing a video out without proper setup. Hand holding the phones is highly flawed. The person doing the test could have purposely shook the v10 more than the Iphone. When i look at most video test of the camera video on the V10 on youtube i also feel the same way. The Lgv10s IOS doesn't even work with 4k video. I'm checking right now. There is no option, not even in manual mode. Why wouldn't it? If it's OIS, it's mechanical, the lens is floating. You're wrong. You can use OIS on S6. DIS on S6 doesn't work on 4k though. must have mixed those 2 up, but thanx for clearing that up for me. Pa just do the test over in 1080p just to shut everyone up, if the iphone wins then you were right and ois works in 4k on the v10. The fact that I can sprint full speed and recorded a barely shaky video is amazing. Thank you Apple.